The National Outdoor Events Association in Scotland has raised concern over new statutory guidelines which could spark a rise in costs for outdoor event owners. NOEA Scotland, which represents the interests of the outdoor events industry north of the Border, said the sixth edition of Guide to Safety at Sports Grounds (Green Guide), published at the end of October, includes new guidelines for a ‘Zone Ex’ (External Zone) which replaces previous ‘Last Mile’ guidance. The rules are designed to help sports ground owners and operators determine a safety capacity for their venue and is used by architects and designers around the world, and are published by The Sports Ground Safety Authority. 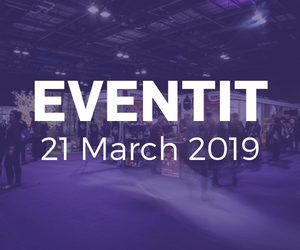 But according to Tom Clements, Chair of NOEA Scotland, some of the guidance around the new ‘Zone Ex’ – which defines the footprint of an event i.e. how far beyond a sports ground an event extends – could be open to interpretation by local authorities and increase the size of the area for which event owners are responsible. The guide, first published in 1973, stipulates that stadium operators must produce a plan to protect guests should a terrorist attack either inside or outside the facility. The rule comes in light of recent incidents at the Manchester Arena and the Stade de France in Paris. Similar to the Purple Guide for music events and festivals, the Green Guide is a statutory instrument and therefore carries legal weight. 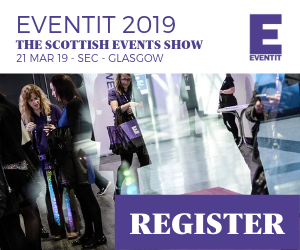 Clements made the comments ahead of EventIt on March 21 at the SEC in Glasgow; he covered ground on the regulatory environment for events organisers at the annual Scottish events show. Some of the issues raised included the ongoing concern over the high cost of police charging for events as well as Temporary Traffic Regulation Orders (TTROs). A spokesman for the Sports Grounds Safety Authority said: “Stadium and event operators can no longer think about the space outside the stadium in isolation. When considering safety, the sum of all parts is critical to creating as safe an environment as possible for everyone at the ground. There are many challenges to ensuring safety in this area, not least of which is that it is unlikely that the venue owner has any legal responsibility for people within it. A multi-disciplinary approach is needed, working across disciplines such as safety, police, stadium management, ambulance and other key stakeholders to ensure that someone has the lead for safety in this area.